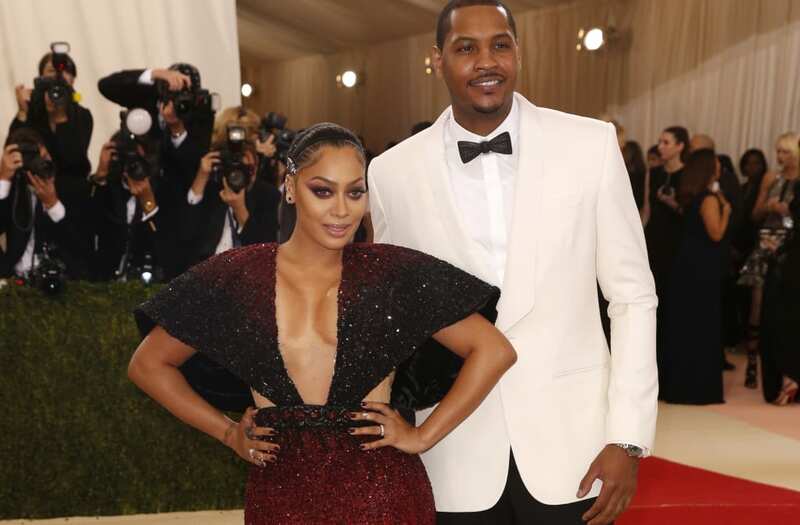 When it comes to La La Anthony's relationship with estranged husband Carmelo Anthony, it's complicated. The 38-year-old actress appeared on The Wendy Williams Show on Tuesday, and was asked point blank if she was divorcing the 33-year-old NBA star. A source close to the pair told ET the couple had split in April after six years of marriage. "Not right now," Anthony told Williams. "You know, marriages are tough, and you know that. We all know that. It's filled with ups and downs. We are just going through a time right now." "Him and I are the best of friends and our number one commitment is to our son Kiyan," she continued. "We have to set an example for Kiyan and that's what's most important to me." She also didn't close the door on the two possibly rekindling their romance. "I don't know what the future holds," Anthony said. "I just know that we are doing an incredible job being parents to our son. We are the best of friends. I've been with Melo since he was 19 years old. You're not with someone that long and it just goes out the window. I love him with all of my heart, and we are the best of friends." Anthony stressed that she would never say anything bad about the New York Knicks player. "That's my son's father and he is an amazing dad," she explained. "I could not ask for a better dad." Later, when asked if she was dating again, Anthony quipped that she was dating herself. "I'm trying to get myself in order," she said. "I'm in the gym every day. I'm eating right. I'm taking out all the bad stuff in my life and just really dating and focusing on myself, which is something women need to do more often -- put ourselves first." ET spoke with Anthony at the 2017 BET Awards on Sunday, where she walked the red carpet with 10-year-old Kiyan. "We're always a family, no matter what," Anthony told ET when asked about her split from Carmelo.